Tired of the same old template components? What a coincidence, so are we! That's why we've created the Component Gallery with an ever expanding list of dynamic components designed to maximize the effectiveness of your digital signage. 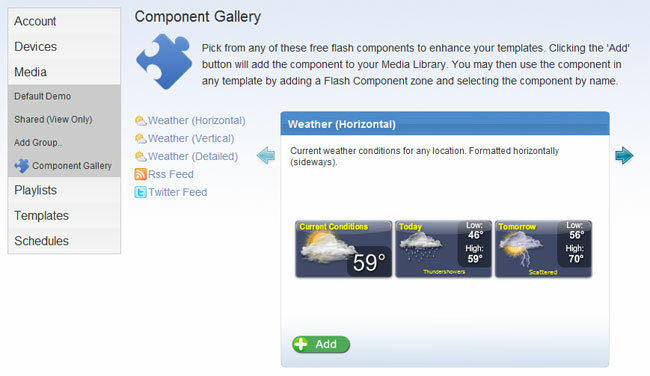 We currently offer a number of enhanced weather components, an RSS feed component with support for images, and of course a Twitter component. Stay tuned as more and more components become available. Click the Component Gallery link under Media for more info!